A drive-by shooting today in northwest Roanoke has two men under hospital treatment. Police say several people fired shots at a vehicle parked in a lot near Cove Road and Lafayette Boulevard. That vehicle then took off, but officers soon found it not far away in the 2700-block of Shenandoah Avenue. The victims’ injuries are described as non-life threatening. Police are looking for a silver Chrysler SUV. 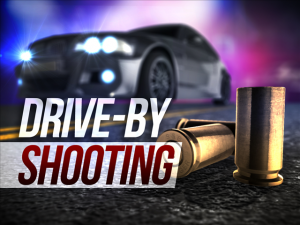 From Roanoke City Police: At 1:56 pm, , Roanoke Police responded to a report of shots fired near the intersection of Cove Road and Lafayette Blvd. An officer was close by and arrived on scene in a short period of time, but was unable to locate the individuals involved in the incident. The officer spoke with witnesses who advised there was a vehicle parked in a parking lot when a silver Chrysler SUV traveling north in the intersection occupied by multiple individuals began shooting at the parked car. Additional responding officers located the vehicle that was shot at in the 2700 block of Shenandoah Avenue. Officers located two adult males with non-life threatening gun shot wounds. Both were transported by Roanoke Fire and EMS to Carilion Roanoke Memorial for treatment. The silver Chrysler SUV was last seen traveling Northbound on Cove Road. Anyone with information about this incident is encouraged to call the RPD tip line at 540-344-8500. Callers can choose to remain anonymous.